Dictionaries define it loosely as “support for a cause”, but to leave it as that would be doing a great injustice to advocates. 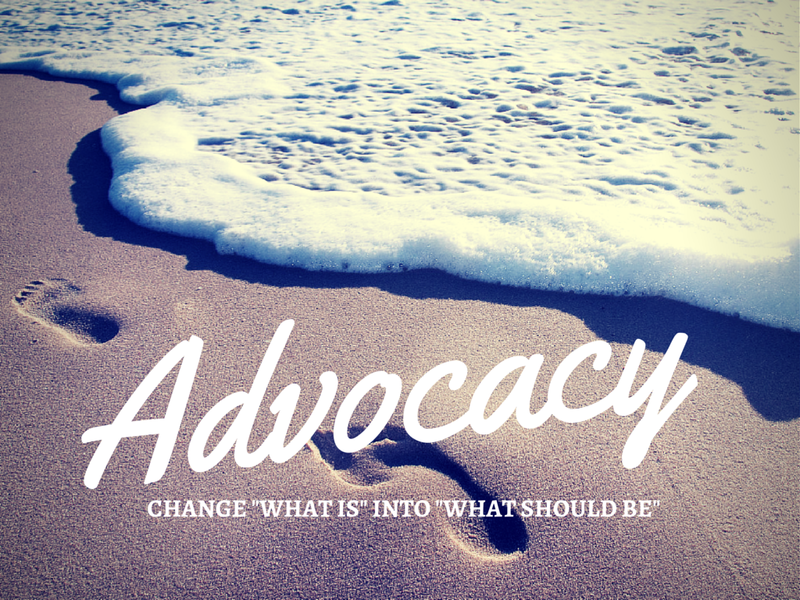 Advocacy is about giving a voice to people who are unrepresented, to make their needs known, and prompt society to take action that would ultimately improve the lives of the vulnerable. Advocates strive to speak up for vulnerable groups and persuade others to back our cause. Be it a policy change or a shift in society’s mindset, our goal is to convince. That being said, “advocacy” allows for various interpretations and tends to hold private significance unique to individuals. Each Community Advocate may have his/her own personal brand of “advocacy”, but what motivates us and allows us to work together is a shared desire to better the lives of people in our community who deserve better. We endeavor to listen to them, understand them, fight for them, and make a difference in their lives. Now on to the nitty-gritty. Upon admission, Community Advocates will be allocated (your preferences will be taken into consideration) into 3 different Special Interest Groups (SIGs): Doveswarm, Empty Pocket, and Lifeline. 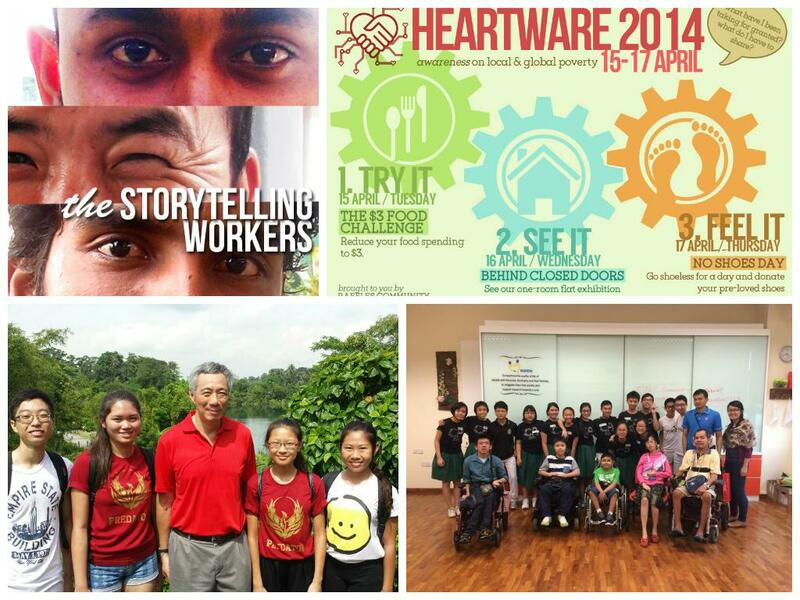 Doveswarm strives to help migrant workers better integrate into our community; Empty Pocket offers support to those living in poverty; Lifeline improves accessibility of healthcare. 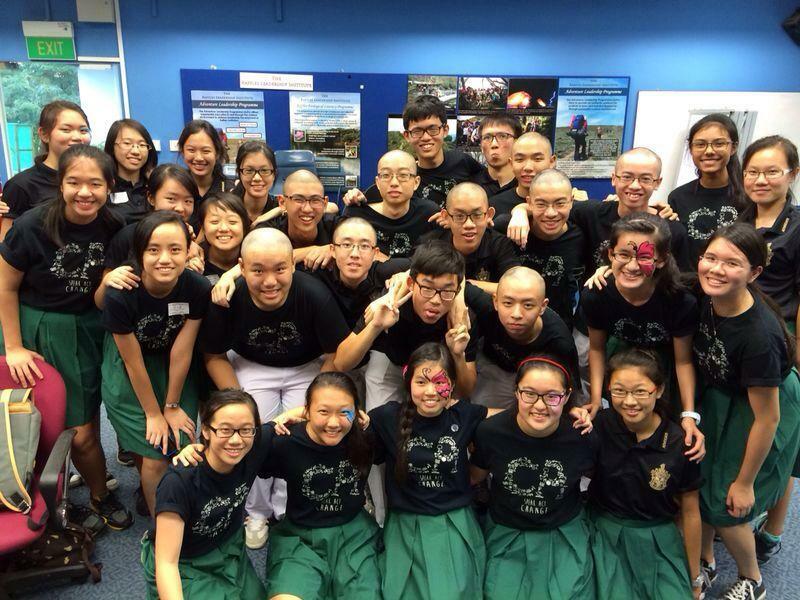 Currently, we have a 4th SIG, Glassark, which specialises in environmental issues. However, as of 2015, environmental issues will no longer be confined to an SIG, but an area concerning the entire batch. The rationale is simple; the environment is home to all of us and protecting it should be part of our daily lives. How Glassark’s legacy will continue, will be up to your batch to define. Community Advocates will engage in both direct service and advocacy work. First, we learn about our beneficiaries through personal interaction. Only with a sound understanding of their needs can we move on to the next step – planning our advocacy projects. Our projects are carefully thought out and tailored to meet the needs of both our beneficiaries and target audience. Direct service and advocacy complement each other, and we recognise that. In addition to SIG projects, Community Advocates will also be involved in batch projects. Away from the boundaries of SIG, your batch will be free to choose the causes you feel most passionate for and execute projects together as one CCA. 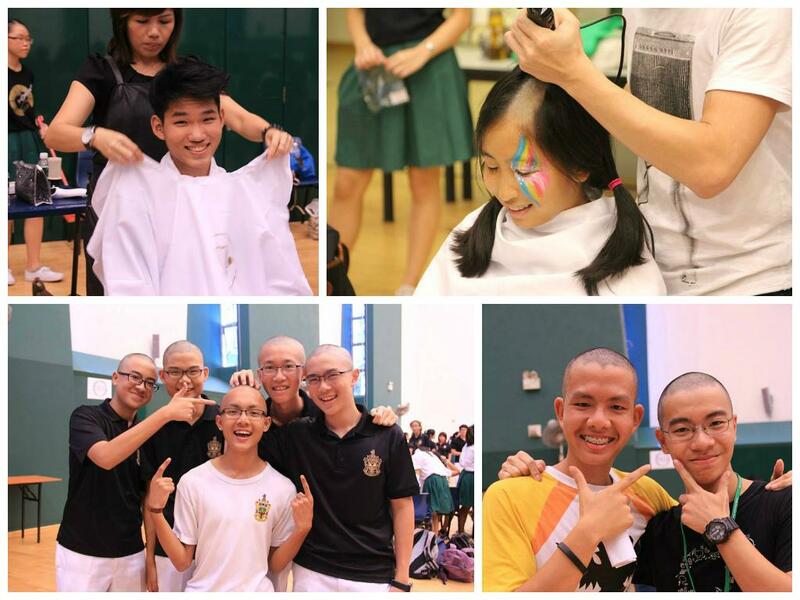 Some prominent examples of batch projects include our annual satellite event, Hair For Hope, a fundraising event for childhood cancer, and our very own Raffles Community Leadership Forum, a nationwide event that exposes youth to pertinent community issues and equips them with advocacy skills. Community Advocates have weekly General Meetings (GMs) on Wednesdays from 2.15-4.15pm. During the direct service phase, it is likely that members will have to commit an additional weekday afternoon/evening to interact with the beneficiaries. Project planning will of course involve extra hours outside GM time. These may sound like a lot of work, but fret not; we’ve got play time covered! GMs will not be a monotonous cycle of project planning, but rather, include time for bonding and games, fun learning journeys outside school, and intriguing sharing sessions by inspiring speakers. You may be hardened by the many social organisations heralding countless causes people should stand up for. You may question the effectiveness of campaigns and publicity movements. But we believe that advocacy work is the key to bringing about long-term, sustainable change. Results may not be immediate, sometimes intangible and immeasurable. But step by step, individual by individual, we can influence the world. Jump onboard and you will meet like-minded people, all eager to serve and stand up for causes they believe in. You can make a difference. Don’t let indifference make you. If you would like to know more about the work we do, head over to speakactchange.wordpress.com where you can read about our experiences and takeaways.